A decision over whether to grant an interview to special counsel Robert Mueller could have major legal implications for President Donald Trump. Trump’s lawyers have reportedly advised him not to speak with Mueller, though he has previously said he would. Rejecting the interview request could pave the way for Mueller to issue a subpoena – which, in turn, could end up in a lengthy legal battle that could reach the top court. President Donald Trump is reportedly being advised to decline an interview with special counsel Robert Mueller – and it’s an open question as to whether Mueller will respond by subpoenaing him to testify before a grand jury. Trump’s lawyers and multiple White House advisers have argued recently that an interview could result in Trump being charged with lying to investigators, as have former national security adviser Michael Flynn and former Trump campaign aide George Papadopoulos. Those close to Trump are hopeful that if Trump rejects an interview request, Mueller will be reluctant to subpoena him,The New York Times reported on Monday. That legal battle could well end up before the Supreme Court if Trump opts to fight a subpoena issued by Mueller – but it’s clear that Trump would have no legal recourse apart from the Fifth Amendment, two former White House counsels told NBC News. Trump would not be the first president summoned before a grand jury by subpoena or to testify in a criminal investigation relating to his own conduct – both milestones were first achieved by President Bill Clinton in 1998 during the height of the Monica Lewinsky scandal. Independent counsel Ken Starr served Clinton a subpoena in July 1998, only to withdraw it days later after Clinton agreed to voluntarily testify. The following month, Clinton gave a five-and-a-half hour testimony to the grand jury, followed by a televised confession that he’d had an inappropriate relationship with Lewinsky. The Supreme Court in Clinton’s case also affirmed an important precedent when it ruled in 1997 that Clinton was not immune from the sexual harassment suit filed against him by accuser Paula Jones. The court agreed in that case that a president was not exempt from the judicial process in appropriate circumstances, and that a criminal case, rather than a civil action, would hold dramatically higher stakes. “We have made clear that in a criminal case the powerful interest in the ‘fair administration of criminal justice requires that the evidence be given under appropriate circumstances lest the ‘very integrity of the judicial system’ be eroded,” the Supreme Court said in its ruling. 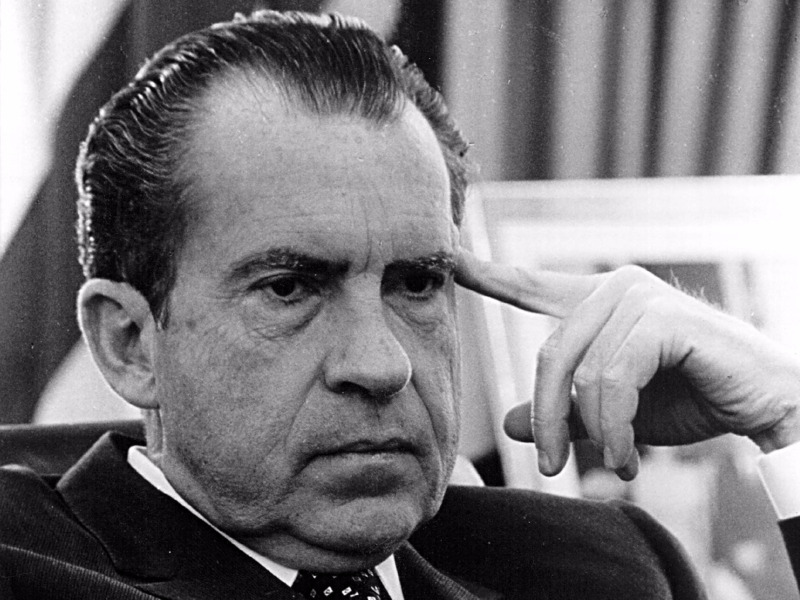 But the precedent that could truly sink Trump’s hopes of evading a subpoena occurred in 1974 in the landmark US v Nixon case, in which the Supreme Court justices agreed that then-President Richard Nixon’s recordings of conversations with aides were not protected by executive privilege. In their ruling, the justices argued that while courts for obvious reasons cannot proceed against a sitting president in the same way they would an ordinary individual, the president was not above the law and his privilege did not shield him from the demands made by a fair criminal-justice process. The Nixon case yielded major implications for future presidents, in that “any president is going to have an extremely hard time resisting a request from a law enforcement officer,” Neal Katyal, a former acting solicitor general and partner at the law firm Hogan Lovells, told The New York Times. Beyond Clinton and Nixon, several other presidents, including Ronald Reagan, Jimmy Carter, Gerald Ford, and Ulysses S. Grant have willingly given depositions or answered written questions in cooperation with criminal investigations, according to NBC News, though the investigations did not concern their own conduct.